Omaha Science Cafe - "Postpartum Depression"
Join Sharon Hammer, MD, director of Reproductive Psychiatry at Nebraska Medicine, Marley Doyle, MD., Director of the Adult Outpatient Division, Associate Program Director for the Creighton-UNMC Psychiatry Residency, and Associate Director of the Women’s Reproductive Program at UNMC and Leigh Cook, APRN, at Nebraska Medicine as they present, "Postpartum Depression" at the next Omaha Science Cafe. 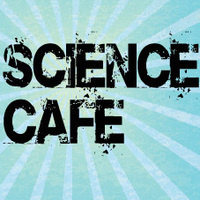 Science Cafes involve a face-to-face conversation with a scientist about current science topics. They are open to everyone (21 and older) and take place in casual settings like pubs and coffeehouses. Each meeting is organized around an interesting topic of conversation. A scientist gives a brief presentation followed by a Q-and-A period. Pizza will be provided for the first 50 people by the Nebraska Coalition for Lifesaving Cures.